Getting ready for Halloween early! 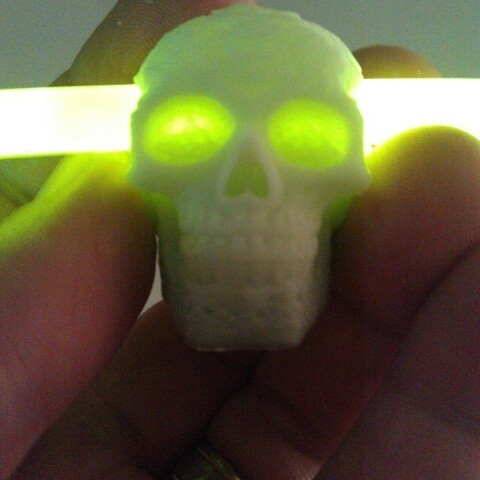 I wanted to have the famous Celtic Skull model on a glow necklace. I flattened it a little and added hexagonal hole for USglow 7mm thick glow necklaces. I ended up with the surprisingly cool result that, when printed in a material that is not too opaque (such as glow in the dark green ABS,) the eyes glow when the glow necklace is activated. I printed up a few . Pale green is Afinia glow in the dark green ABS on a Makerbot Replicator w/ Sailfish at 100 micron layers. Sliced with Skeinforge. 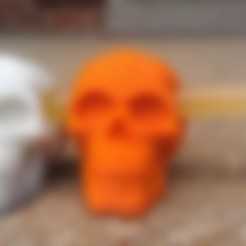 Orange is colorFabb Dutch Orange PLA/PHA on an Ultimaker at 80 micron layers. 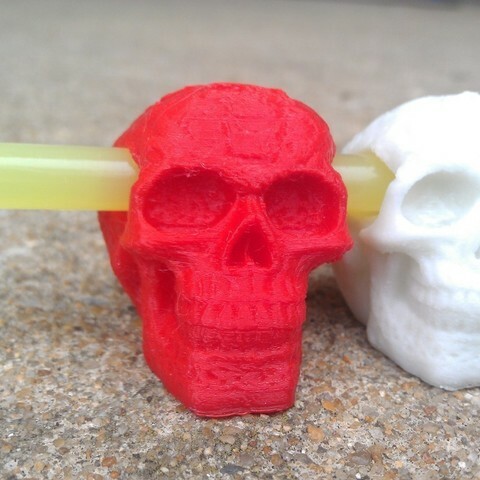 Sliced with Cura. Red Is colorFabb Traffic Red PLA/PHA on a Robo3D at 100 micron layers. Sliced with Slic3r. 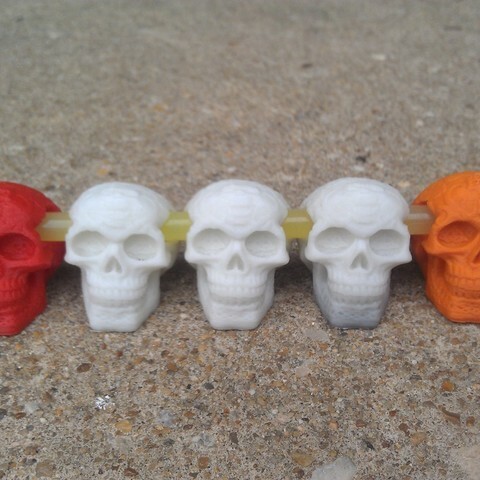 If you like the looks of the colorFabb, PM me for more info. 8/19/13 update. I accidentally uploaded gcode instead of the stl. If you downloaded this previous to that, check the files again. The ...QEC file is a lower polycount version. Print this with 3 perimeters. No support. Depending on how your printer handles bridging, you may or may not need infill.